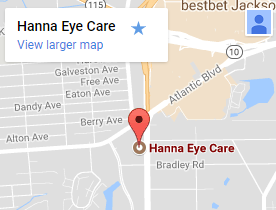 Eye Exam Jacksonville | Visit Our Optometrist, Dr. Hanna Now! Regardless of your age or physical health, whether an adult or a child, it’s important to have regular eye exams. During your comprehensive eye exam, Dr. Hanna will not only determine your prescription for eyeglasses or contact lenses, but will also check your eyes for common eye diseases, assess how your eyes work together as a team and evaluate your eyes as an indicator of your overall health. 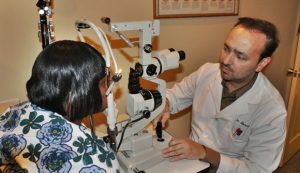 Once your vision analysis and eye health exam is complete, our Jacksonville eye care expert will discuss your diagnosis in detail. He will then go over all the available treatment options with you, whether they be glasses, contact lenses or medications. He will also discuss how you use your eyes at work and make suggestions on your specific eye care needs.